The new flagship smartphone Google Nexus 6P revealed unpleasant for many fans of the “free” Android option QFuse. 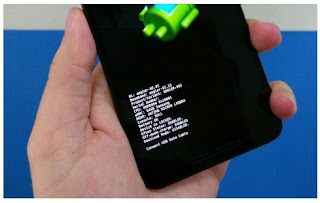 This technology is a hardware platform for the supervision of the owner attempting to unlock the bootloader for flashing the smartphone and modification of the kernel. Flag QFuse normally is in the status of “Disabled”, but the user should perform the operation once to unlock and QFuse immediately jumps to the position “Enabled”. The worst part of this situation is that QFuse does not return to its original position, even after re-lock the bootloader. As experts have suggested XDA Developers, it is connected with the desire to further protect all Google service users cashless payments Android Pay. It is unlikely that a change in the status of QFuse access to Android Pay or other functions of the smartphone will disappear. However, when you try to resell the phones new owner will always be able to find out whether the phone was exposed by a deep programmatic changes and QFuse act as a litmus test serving infallible indicator. In addition, unlocking the boot loader can be cause for denial of warranty repair if service workers find intervention at the system level.